Klamath Dam Removal Far From a Sure Thing! Any and all comments sent to FERC to stop dam removal are welcome. 1. You will set up an E-comment online. 3. You'll hit search and then you'll see the docket numbers and you will press the + sign to select. You are limited to 6000 characters unless you set up an E-file account and then you can attach documents of any length. Local: 202-502-6652 | Toll-free: 866-208-3676. Please include a current mail address, telephone number, and e-mail address. Copco No. 1 in 1917 above and 2005 below. The Klamath dams are valuable for their water storage as well as the clean electricity they produce. Around 75,000 homes and / or businesses receive this clean energy. There is an effort to remove four dams on the Klamath River by transferring the licenses from PacifiCorp to the Klamath River Renewal Corporation (KKRC) despite Siskiyou County residents voting over 80% to keep the dams. John Boyle Dam is in Oregon and Klamath County also voted overwhelmingly in favor of dam retention as well. The efforts to remove the Klamath Dams are complicated. It will be the largest dam removal project in U.S. history, and potentially in the world. 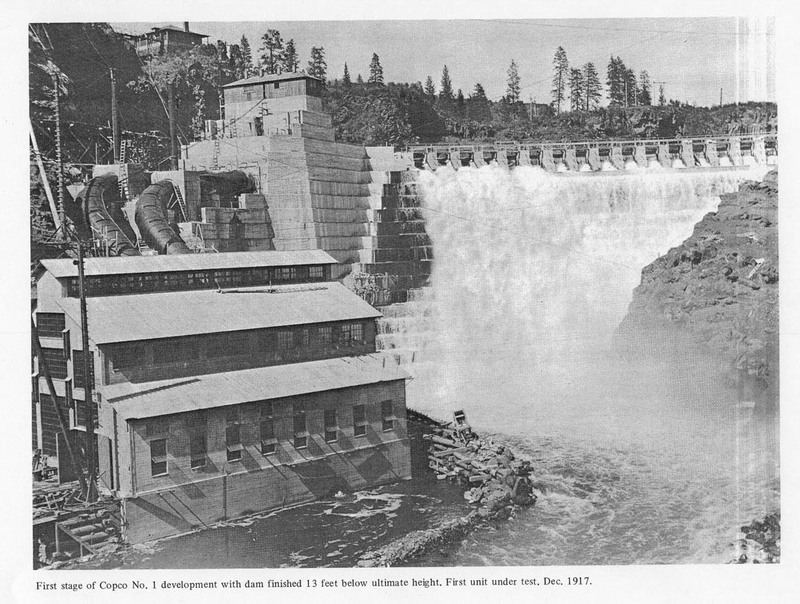 The effort to remove the dams to allow volitional fish passage is an effort environmental groups, Native American tribes, and others are attempting to wage against the citizens of Siskiyou County and Klamath County in Oregon by demoralizing the residents around Copco Lake by making them think that dam removal is eventually going to happen. For the KRRC to obtain license transfer and eventually license surrender from PacifiCorp to occur there are numerous obstacles for the KRRC to overcome. FERC must approve the transfer, then the agency has to sign off on the removal plan. The Federal Energy Regulatory Commission (FERC) would have to approve the KRRC license transfer from PacifiCorp. They have requested additional information from the KRRC before this can take place. There are other things that would also need to happen for the license transfer to occur as well. It’s not an easy process. The KRRC would need to go through environmental reviews and get the required liability insurance. Given the federal government was unwilling to underwrite this project, adequate liability insurance is questionable. Given the fact that the Klamath flows between two states the federal government would have to approve the agreement Governors Brown of California and Oregon signed for dam removal. It is unlikely that this approval would be given. U.S. Representative Doug La Malfa is actively working on behalf of the residents of Siskiyou County to stop dam removal. He is working to get the Shasta Native American Indian tribe federally recognized again as they were in the past. Through this recognition, it will make dam removal much more difficult. The Shasta have their ancient burial grounds, as well as Shasta Civil War veterans, buried under Copco Lake and Irongate Reservoir. The Shasta do not want these sacred grounds disturbed and have legal grounds to stop any entities from doing so. La Malfa is also on various House of Representative committees that will enable him to attempt in stopping dam removal from moving forward. The Siskiyou County Board of Supervisors are working closely with Representative La Malfa to stop dam removal. They are assisting Shasta Tribe federal recognition. The Siskiyou County BOS are also actively working with all agencies to retain the dams. They have met with a Yurok Tribal Council representative to engage in talks to find a solution to fish passage without dam removal. Worst case scenario, even if dam removal appeared to be imminent, the Siskiyou County BOS as well as other entities are poised to bring a lawsuit to stop it. Dam removal, IF it even looks imminent, is YEARS away from happening from all the efforts to stop it. and has no affiliation with Pacificorp.